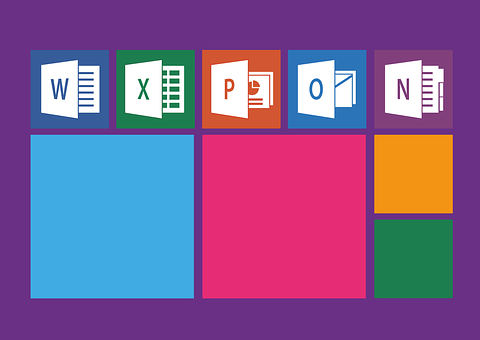 Earlier this month Microsoft announced a new refreshed look for its Office Suite. The roll-out will begin in June and should be completed in the next few months. The changes will include 3 major design enhancements and apply to both the Office.com and Windows versions. The most noticeable change will be to the Microsoft Ribbon in the current suite of products. The current ribbon features a 3 row view, but the new version will receive a more consolidated look with the ribbon collapsed into one row. This new single row view will be rolled out gradually and users will have the option of reverting back with “one click” to the previous version if they choose, Microsoft says. It also stated that they’ve been cautious in their development of these enhancements in an effort to increase user productivity rather than hinder it. While the new ribbon look and feel will be slowly rolled out, a few more immediate visual changes will include an update in colors and Icons to both the desktop and online versions of Office soon. The colors and icons will first make their way into the online version of word and will be followed by Windows and Mac Office release later in the summer. TrueITPros specializes in setting up and maintaining a positive online presence for your company. We can help with all your business’s IT service, Website design, and Internet marketing needs. Please visit our website or give us a call at 678-534-8776 to learn more. Feel free to share your thoughts and comments on our service by leaving a review through Google or on our Facebook page. Hearing from you helps us deliver the best customer experience possible!